If you have been suffering with bad breath (halitosis) you may have tried many ways to stop it, but no matter how much you brush, mouthwash or use mouth sprays, in as little as a few minutes, the bad smell comes back. If you want to know how to stop bad breath once and for all, you will find all the steps you need to take in this article. Halitosis is the technical term referring to an offensive smell coming from the air exhaled when you breathe. Halitosis is just a fancy word for “bad breath”. 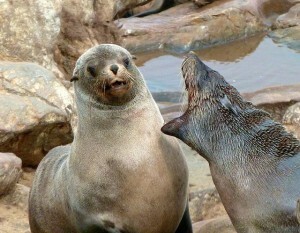 Everybody gets bad breath sometimes. However, about a third of the population at any time have moderately bad breath and about 5% have severe halitosis. Most of the time the smell is originating directly from your mouth: between the teeth, your gums, and your tongue. Less frequently halitosis can originate from other areas than your mouth. The smell can come from your tonsils or sinus. Also, if you eat sulfur containing foods like onions and garlic, the sulfur compounds in these foods are released from your lungs and can smell unpleasant. Until recently it was believed that if the cause of halitosis was not in the mouth, that it must be coming from the stomach, but we now know the stomach is rarely the cause of halitosis. Usually the cause of the halitosis is in the sinus or the tonsils if it isn’t from the mouth. I know how frustrating bad breath can be as I have experienced severe halitosis myself. The experience was embarrassing and I became acutely self-conscious of my breath as a result of it and was constantly paranoid that I was grossing people out when I was talking. I was about 13 or 14 years old, my breath smelled so bad that it made me feel insecure. It didn’t help that I had a very honest and blunt friend who would let me know in no uncertain terms when my breath smelled. I was so embarrassed and desperate to do something about the problem. I brushed my teeth at least twice a day, used mouthwash multiple times a day and I carried mouthspray with me everywhere I went. None of this seemed to help though and half an hour later my “friend” would loudly and publically announce the return of my bad breath. Fortunately, the bad breath did go away. I suspect because I started using floss. Not as much as I should have, but once a week is still a lot better than never! Full disclosure: I didn’t regularly floss until I was a few months into dental school many years later! As I suspect was the case with me all those years ago, in most cases halitosis originates from the mouth. While halitosis can be caused by factors unrelated to oral hygiene, people who don’t brush and floss regularly and don’t go to the dentist tend to get halitosis much more often than people who do brush, floss and go to the dentist. Therefore, if you get bad breath, the first and most obvious thing to do is to make sure you are brushing and flossing regularly. 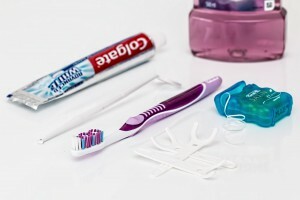 If you can’t floss, please read my article on cleaning between your teeth to find other methods. Many people with bad breath are so concerned about it that they brush and use mouthwash many times during the day and they may even brush their tongue. However, two things they often don’t do is floss or go to the dentist regularly. 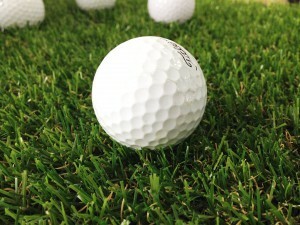 There is an area the size of a golf ball between your teeth that is not reached by your toothbrush. That is a lot of smelly bacteria being left behind if you don’t floss it out! If you don’t go the dentist or hygienist regularly, it is likely that a hard, stone-like material called calculus is forming on your teeth. Calculus is impossible to remove with a toothbrush and you need it to be removed by your dentist or hygienist. Although for most people halitosis usually comes from the mouth, about a fifth of people get halitosis from another part of the body. 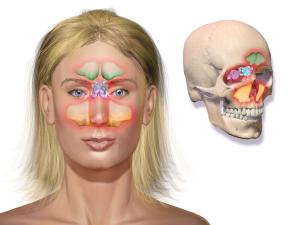 Ear, nose and throat problems like sinusitis, tonsillitis (often from a tonsil stone) and a chronic runny nose are the most common causes. I will discuss this a bit later in the article. Do you really have halitosis? Just because you have a bad taste in your mouth, doesn’t necessarily mean you have bad breath. Find somebody you trust and get their honest opinion. Sometimes people who are sure they have halitosis actually don’t. The unshakable sense that you have bad breath when you don’t is a condition known as halitophobia and obviously needs to be treated in a totally different way than halitosis is. It is impossible to detect the smell of your own breath, so ask someone you feel comfortable with and trust about your breath. The experts agree that simply asking someone you know who is honest and you trust whether you have bad breath is the best test for halitosis. The other tools available for diagnosing halitosis are sulfur measuring devices and microbiological tests. These tests appear very high tech and accurate, but they still are not as good as the human nose at determining whether a smell is bad or not! This is because not all sulfur compounds smell bad and these tests can’t tell the difference between a pleasant smelling sulfur compound and an unpleasant one. Some pleasant perfumes have sulfur compounds in them. 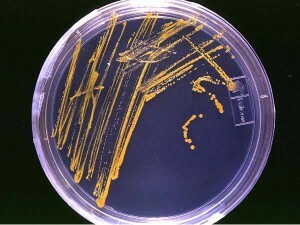 Microbial test for halitosis causing organisms. For many people taking the following steps, particularly flossing, is all they may need to fix their bad breath problem. If you can’t floss, there are other options available. Take up flossing or use another tool for cleaning between your teeth like a Waterpik or interdental brushes. This will remove foul smelling bacteria from between your teeth. 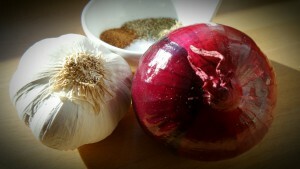 Avoid eating high sulfur foods like onions and garlic. At least until your breath is better. Use a mouthwash to help kill the bacteria causing bad breath. If none of the above measures work, then your halitosis is likely coming from somewhere you have no control over and you should see your physician. If your physician can’t see an obvious cause, like a tonsil stone for example, then your physician will likely refer you to an ear, nose and throat specialist. A tonsil stone looks like a yellow stone embedded in the tonsil tissue. When a tonsil stone is the cause of the halitosis, often the stone can be easily dislodged with your tongue or with a Waterpik if you have one. If you can’t easily remove it, go to your physician. Of course it’s best you treat the cause of your bad breath rather than just treating the symptoms, but you may have a long wait until you are seen by the appropriate specialist or perhaps the cause was never found by your dentist or ear, nose and throat doctor. In these cases, a mouthwash containing chlorine dioxide can effectively mask bad breath and you can chew xylitol gum to stimulate saliva which helps wash away the bad smelling sulfur compounds from your mouth. 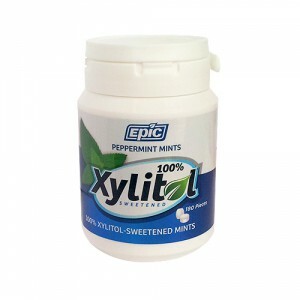 The xylitol also has an antibacterial effect that helps as well as many other health benefits, including an anti-cavity effect on your teeth. Thanks for reading this article. I hope you found it useful. If you have any questions about halitosis or would like to share some information, please do so in the comments section. Thank you for sharing this site. I never heard about halitosis before and you lay it out with great and easy explanation of what is causing bad breath. Thank you for your advises as an expertice. I will share this site to my friends. Hi Nam. You are lucky you have never heard about halitosis before as it means you probably have never experienced it. Thank you for sharing with your friends. They will thank you if they have halitosis! The 7 steps that you have written about are definitely true and are extremely effective for getting rid of bad breathe! I should know I have performed these steps for this issue and it got rid of it in no time! Thank you for spreading this helpful information! Thank you Johnathan! Glad you have used the steps to successfully sort out your own halitosis. Hi David, This is a brilliantly informative article, thank you. A close friend of mine had halitosis for a long time, and it’s so difficult to know what to say about it, as it’s such an embarrassing condition. I’m so sorry you had to deal with it as a teenager, that’s absolutely the worst time! You’ve really covered every possible cause, so maybe next time I encounter a friend who is suffering from halitosis, I’ll just send them this article! Hi Steph. Yeah, it can be awkward pointing out to somebody that they have bad breath. On the one hand you want to help them, but on the other you don’t want to hurt their feelings and raise resentment. As a dentist, I even find it hard pointing it out to my patients! I would like to commend you on this excellent article. I agree that having bad breath can be very embarrassing for an individual and they may not know what is the cause. This article is very informative and anyone reading will gain a wealth of knowledge with regard to what is causing their bad breath and ways they can overcome it. Thank you! Glad you found the article informative. Great article, David! I find it very informative, professional and at the same time written in a way that is easy for everyone to understand and follow along. I’m doing 90% of what you recommend. I do eat garlic and onion though once in a while. I like those a lot and I know they are very healthy too. I just think ahead and avoid to eat those when I know I am going to be around people in the next few hours :). One trick I’ve used is, besides flossing and brushing, I chew parsley leaves and it helps a lot to make the smell go away and refresh not only the breath, but also the taste that stays in the mouth. Thank you for contributing. I have heard that parsley can mask the smell for a short amount of time. Also, green tea is meant to make a bit of a difference too. Remedies like this aren’t really addressing the cause, but can help mask the smell for a short amount of time. Thanks for sharing a great informative post on halitosis! 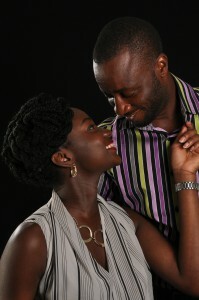 I find it easier to hear from my kids that I have bad breath but it’s harder to say to hear it from my husband. He hasn’t said that to me but I think it would make me self conscious and paranoid. I indirectly tell someone by offering them some gum or mints. I view halitosis as a short term problem so I just put up with it until it goes away. Most people have bad breath once in a while. I do follow some of the steps that you mention. The 2 that stand out to me that I should do are the flossing and the waterpic. I was at a cleaning recently and the dentist told me to floss more and to use a waterpic. He also advised that when I rinse I should do it for at least 15 seconds for it to be effective. Do you get quite a few cases of halitosis with your patients? Do you tell them or let them ask you? It is hard telling somebody they have bad breath! Even as a dentist I find it hard. If I detect bad breath, I usually ask them if they floss and when they say they don’t I will ask if they have noticed they get bad breath because people who don’t floss often get bad breath. It’s not a perfect approach, but it makes it a little less personal! I think mouthwash is good especially if you have gum disease, but if you aren’t flossing or using another tool like a Waterpik to clean between your teeth first, you are wasting your time. The mouthwash will not remove the plaque. It is usually old plaque that makes the breath smell. Also if you do use mouthwash don’t do it straight after brushing (wait at least half an hour) because you want to leave the fluoride on your teeth for a while and harden your teeth. 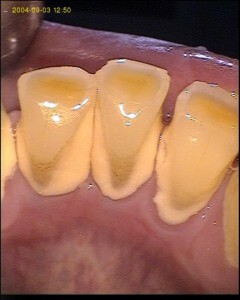 On that note, I recommend flossing and/or waterpik BEFORE you brush. Then after you brush, spit the excess toothpaste out rather than washing it out. Again, that is so that the fluoride you apply from brushing stays on your teeth for longer.